The Quiles family’s winemaking history dates back to the 1780’s when they began cultivating and producing wines west of the province of Alicante. At the dawn of the 20th century, Don Primitivo Quiles Verdú founded the current winery in Monóvar. In the 1930’s following his studies in France, Don Primitivo Quiles Quiles joined the family affair in the years when trade was extended to the northern peninsula and exports increased in Northern Europe and America. Don Primitivo Quiles Pérez, who also joined the winery to aid in the new demands of the market, played a pivotal role in drawing attention to Alicante as a winegrowing region of significance. 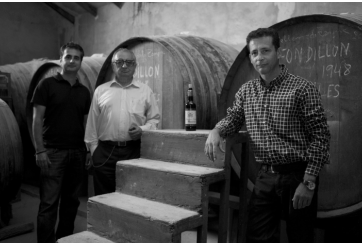 Today, overseen by Don’s sons Primitivo and Francisco Quiles, the winery’s primary objective is to create a product that upholds the quality standards established by its founding fathers, and producing wines that highlight the special characteristics of Alicante.